Business leaders (99% of executives) expect their digital investments to yield more immediate returns like revenue growth, leaving merely 1% that view digital as a way to drive disruption in their own or other industries. Companies may be overlooking digital disruption of another kind—that inside their organizations, where enterprise operating models are under pressure, evidenced by shifting tech spending patterns and evolving digital roles. While CEO leadership for digital is at an all-time high (73%), business leaders must accelerate their company’s approach to stay ahead of both market and internal disruption. New York -- Digital investments are on the rise and spread more widely throughout organizations than ever before, according to PwC’s 2015 Digital IQ™ Survey report released today. The report, PwC’s seventh annual, explores the ability of organizations to use technology to drive business value. In this year’s study of nearly 2,000 executives across 51 countries – split equally among business and IT executives – PwC identified 10 critical behaviors that translate directly to strong revenue growth and profit margin. Companies responding to the Digital IQ survey with the highest scores across the 10 behaviors are 50% more likely to achieve rapid revenue growth and twice as likely to achieve rapid profit growth when compared to the remaining Digital IQ respondents. Executives are seeking more strategic value from digital investments, with 45% stating that their number-one expectation from these investments is revenue growth, followed by 25% seeking better customer experiences and 12% aiming for improved profitability. Further solidifying the correlation companies are seeing between digital and business success, 31% of global respondents stated they are investing more than 15% of revenue into digital investments. Overall, companies are prioritizing their investments in order to drive revenue and profit growth, but only within the confines of their existing business models. Only 1% of executives said their number-one expectation for digital was to disrupt their own or other industries. Instead, executives are seeking immediate returns. In a continuation of a multi-year trend, more CEOs are leading the digital charge, setting the tone for their entire organizations that digital is essential. The CIO’s role also continues to change, from predominantly leading all internal and external digital efforts today (at 40%) to an expected drop-off in three years’ time (to 35%). A majority (65%) of respondents indicate the CIO’s key responsibilities in three years’ time will be limited to all internal IT efforts or all internal IT efforts in combination with innovation. Now in its seventh year, PwC’s Digital IQ™​ survey tracks best practices and evolving attitudes and priorities regarding digital technologies around the world. Digital IQ is an annual survey to assess how well companies understand the value of technology and weave it into the fabric of their organization. The CEO is a champion for digital. 73% of business and IT executives said that their CEO was a champion for digital, a significant increase over the 57% who said they had a CEO champion in 2013. The executives responsible for digital are involved in setting high-level business strategy. CEOs may set the tone and vision for digital, but those responsible for operationalizing digital, often the CIO or CDO, are instrumental in setting high-level business strategy. This is especially true in companies where digital leaders have their own P&Ls and are responsible for a significant share of the business. Business-aligned digital strategy is agreed upon and shared at the C-level. Organizations and leaders that are aligned are more likely to maximize investments and can better identify areas of overlap and resource gaps that could derail efforts. Business and digital strategy are well communicated enterprise-wide. Strategy isn’t complete without engagement by everyone in the organization. Currently, 69% of companies say that business and digital strategy are shared enterprise-wide and last year that figure was 55% and in 2013 it was 50%. Active engagement with external sources to gather new ideas for applying emerging technologies. Top-performing companies find digital inspiration everywhere, especially outside their organization. Innovative companies are much more likely to evaluate many emerging technologies, characterizing their approach to adoption as one that’s purely technology driven (69%), in contrast to the rest of companies (54%). They also look to a wide variety of sources to seed their idea pipeline, actively engaging with industry analysts (63%), customers (46%), and vendor ecosystems (44%) the most. Digital enterprise investments are made primarily for competitive advantage. An indicator of evolving roles, 68% of digital spending comes from budgets outside of IT’s budget, a significant increase from 47% the prior year. Also, the executive responsible for digital investment continues to shift, with the CIO (27%) and the CDO (14%) sharing that job with the CEO (34%) and CFO (13%). Effective utilization of all data captured to drive business value. Getting value out of data often means using it to guide strategic decisions like how to grow the business or whether to collaborate with competitors. This remains a challenge for executives, citing specifically behavioral and skills barriers, such as understanding which data to use and how it benefits their role, nearly as much as issues with data quality or accuracy. A single, multi-year digital enterprise roadmap that includes business capabilities and processes as well as digital and IT components. Progress has ebbed and flowed as digital has become more pervasive in the enterprise while at the same time also more fragmented. Today, 53% of companies have a comprehensive roadmap that includes business capabilities and processes, as well as digital and IT components. Four years ago 63% of companies did. Consistent measurement of outcomes from digital technology investments. Consistency in measurement is also crucial. Businesses and their boards want to see the value they’re achieving from digital investments. Top-performing companies lead lower performing ones here again (79% vs. 72%). Demonstrating this requires a combination of traditional metrics (like ROI) to track against growth goals, as well as newer ones for measuring more disruptive investments. PwC helps organizations accelerate their digital and technology impact to create the value they are looking for. We are a network of firms in 157 countries with more than 195,000 people who are committed to delivering quality in assurance, tax and advisory services. Find out more and tell us what matters to you by visiting us at www.pwc.com​. © 2015 PwC. All rights reserved. 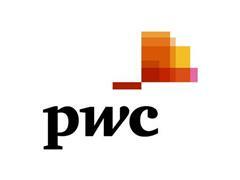 PwC refers to the US member firm or one of its subsidiaries or affiliates, and may sometimes refer to the PwC network. Each member firm is a separate legal entity. Please see www.pwc.com/structure for further details. Any trademarks included are trademarks of their respective owners and are not affiliated with, nor endorsed by, PricewaterhouseCoopers LLP.